The Chennaiyin FC U-13 team romped to an 8-0 win over Chennai City FC U-13s in a 2018-19 Hero Sub-Junior League away game at the Chettinad School Ground in Kelambakkam today. Hat-trick hero Ajay Kumar M. was the standout performer for CFC as Rishibarath N. also starred with a brace. 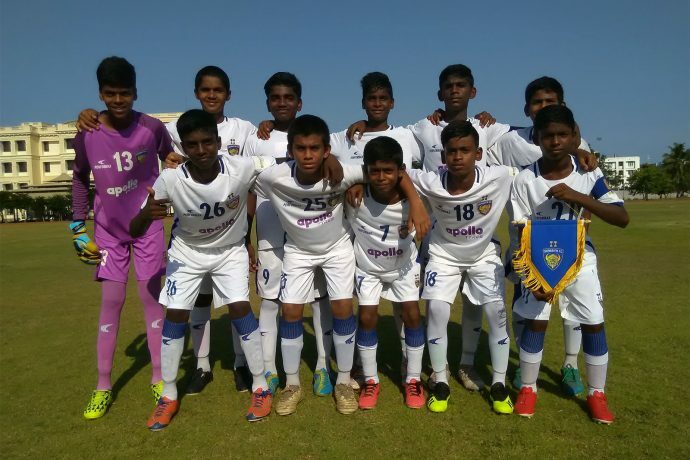 The CFC U-13s have now scored 32 goals in six games this season in the Chennai zone with ten different players already getting on the scoresheet so far.